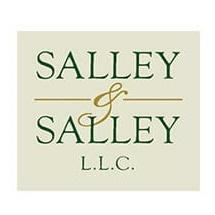 At Salley & Salley, LLC in Metairie, Louisiana, we are fully committed to helping you and your family with the most important legal issues affecting your life and your future. Led by the mother and daughter legal team of Sandra and Laurel Salley, our law firm has served the residents of the greater New Orleans metro region since 1989. We are among a small group of Louisiana law firms whose attorneys include a Board-Certified Family Law Specialist, certified by the Louisiana Board of Legal Specialization. This certification is granted to a select number of attorneys who demonstrate a commitment to ethics, excellence, and continued legal education, ensuring that they are able to handle the most complex family law challenges. Laurel Salley has been a Board-Certified Family Law Specialist since January 2004. Sandra Salley was a Board-Certified Family Law Specialist from 2000 until 2017. Along with helping those going through divorce, we also provide much-needed assistance and support to families looking to transfer rights to relatives or stepparents through intrafamily adoption. Additionally, we offer assistance in preparing wills and managing succession planning. We assist victims of domestic violence with obtaining the proper protections they need from their abusers; we also represent those who have been accused of abuse in order to protect their rights throughout the legal process. If you wish to appeal a previous court's ruling regarding your case or if you seek modifications to existing court orders, we can help with that, too. As a family-based law firm, we promise to treat you like family, and we have earned a reputation for offering the compassionate counsel our clients deserve while aggressively pursuing the most favorable outcomes possible on their behalves. Although we strive to help our clients resolve their conflicts and reach agreements through negotiations, we will not hesitate to fight hard to protect your rights and interests in court when necessary. The bottom line is that the attorneys at Salley & Salley are here for you no matter the legal issues affecting your family, and we promise to remain with you every step of the way to ensure we offer the full amount of legal support you need. To receive a consultation from a local attorney you can trust with your most sensitive legal matters, you can contact our law office to schedule an appointment.